Please check out our upcoming events for this year below. We are so proud to partner with so many great organizations! Live Music, Great Food, Raffle and More! Are you looking to have a rockin' good time while helping out the homeless animals? Join LHS for our 9th Annual Rescue Rock Off for a day of live performances by local bands, delicious food, a raffle with an assortment of amazing prizes, 50/50 drawing with 2 chances to win hundreds of dollars and much more! Tickets are $25 pre-sale and $30 at the door. Pre-sale tickets will be made available until Friday, March 1st at midnight. The ticket includes admission to the event and access to the all-you-can-eat buffet. The buffet is filled with a variety of delicious appetizers provided by the Willoughby Brewing Company. Soda, tea, and water are also included. Alcoholic drinks are available for purchase. Do you want to upgrade your experience? VIP tickets for $50 are also available. These include all of the above AND 2 alcoholic drinks, early entry, reserved seating and a special performance by Kevin Conaway. Ever wonder how pure maple syrup is produced? Discover through hands-on demonstrations and crafts as you tap into the fun of Maple Sugaring Weekends. The journey begins with a wagon ride into the maple woods to the Woodland Center. There, you can take part in the maple sugaring process. 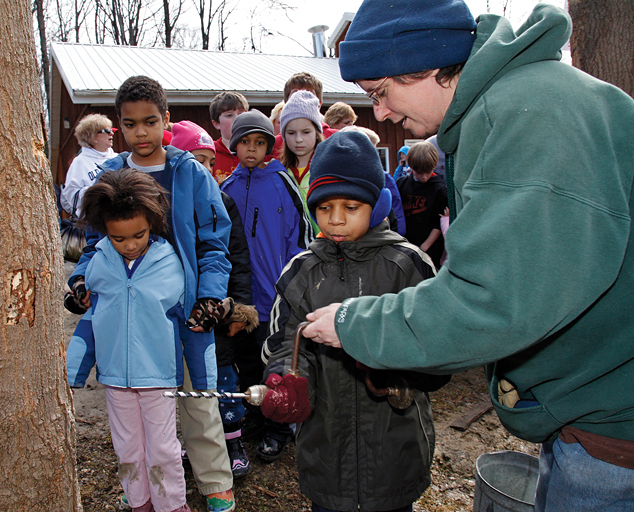 Kids learn how to tap a tree with hands-on guidance from Farmpark staff. The whole family gets involved collecting sap contained in collection buckets hung on the maple trees. Move indoors to watch the water-like substance you helped collect boiled and processed into pure maple syrup and other naturally-sweet products. Farmpark's very own pure maple syrup and other maple items are available for sale in both the Woodland Center and Gift Shop. Pancakes served all day in J&J Café (additional fee applies). No registration necessary. The Easter Bunny visits children in the cafe. 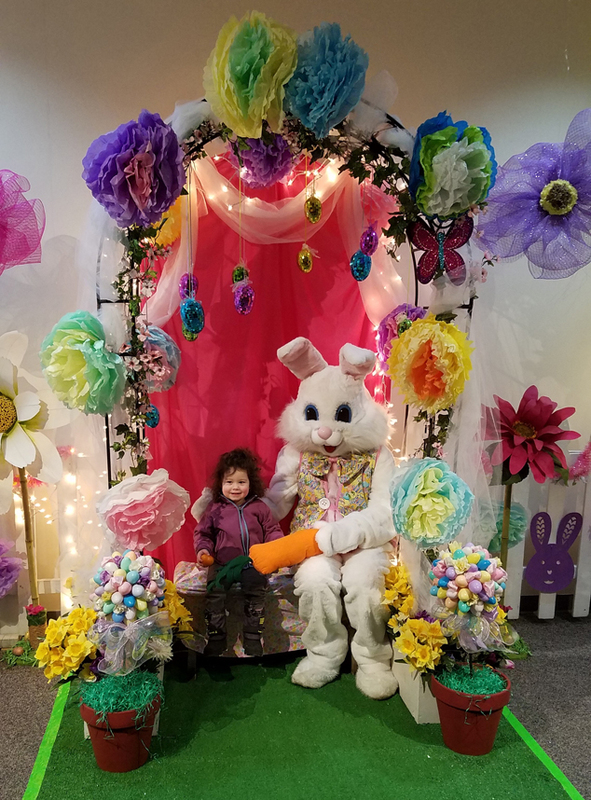 After breakfast, take a photo with the Bunny in his arbor in the theater. Visit the Plant Science Center to make a craft and visit lambs in the Well Bred Shed. Breakfast seatings are at 9 and 10:30 am. Tickets for all attending are required. Tickets go on sale online only at 8 am for Lake County residents and Farmpark members on Monday, March 11 and out-of-county customers on Monday, March 18. An annual springtime tradition; experience an eight-mile canoe and kayak race from the Harpersfield Covered Bridge (Ashtabula County) to Hidden Valley Park south entrance (Madison) on the wild and scenic Grand River. This race features a "maddest hat" contest. Awards to top three finishers in each race category (determined by skill level and boat type). Click here for race flyer. Novice classes are open to aluminum and plastic canoes. Novice racers are individuals who have never placed first, second or third in any race longer than five miles. Over & Under (one participant is age 15 or younger, the other participant is at least 18 years older than the first). Harpersfield Covered Bridge Metropark is located near I-90 & SR 534. Turn south on SR 534 for about a mile to the intersection of SR 307 at the bottom of a long hill. Turn right (west) and then turn left (south) at the next intersection. Go down the hill to the Harpersfield Covered Bridge Metropark. 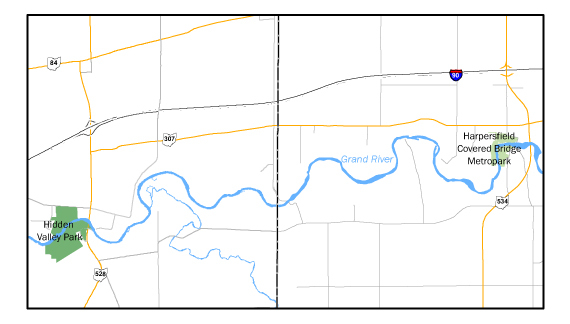 Click here for up-to-date information about the Grand River's current temperature and depth.